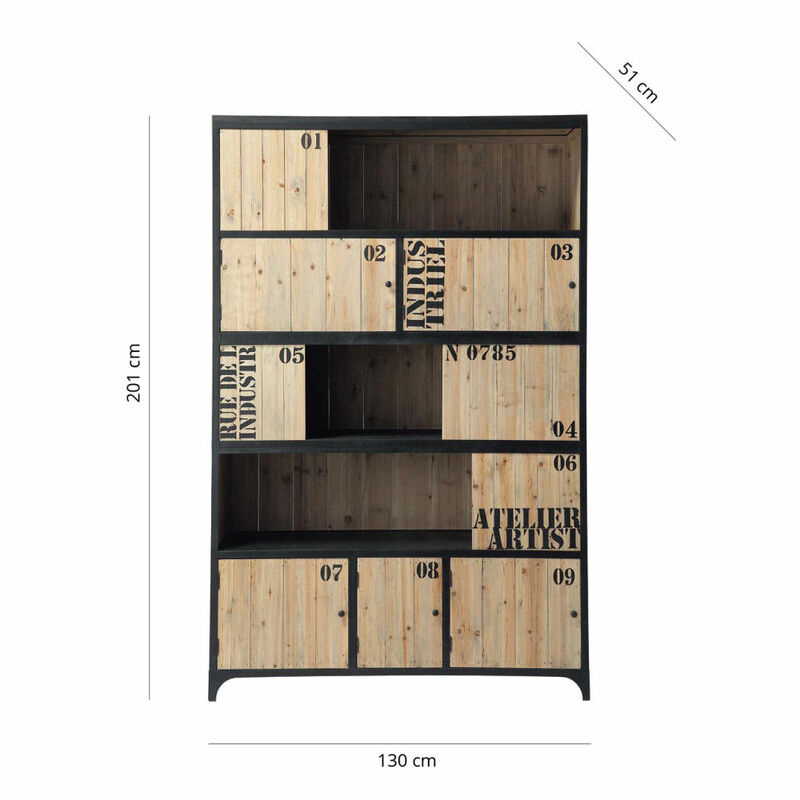 The DOCKS bookcase is a resolutely modern designer item. 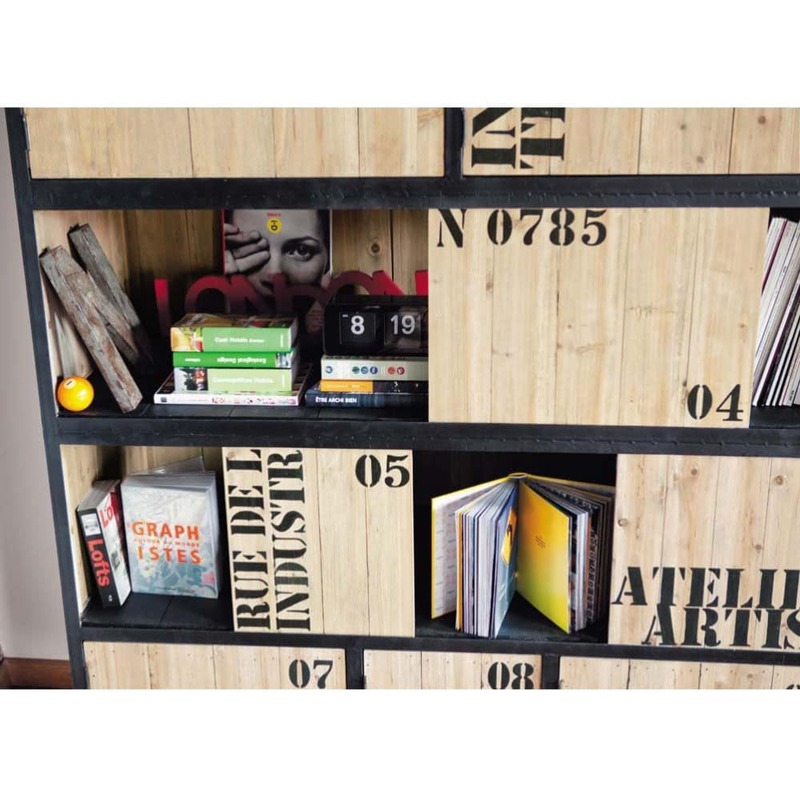 Looking deceptively like stenciled crates nailed together, this highly decorative living room unit is a stylish combination of wood and metal. 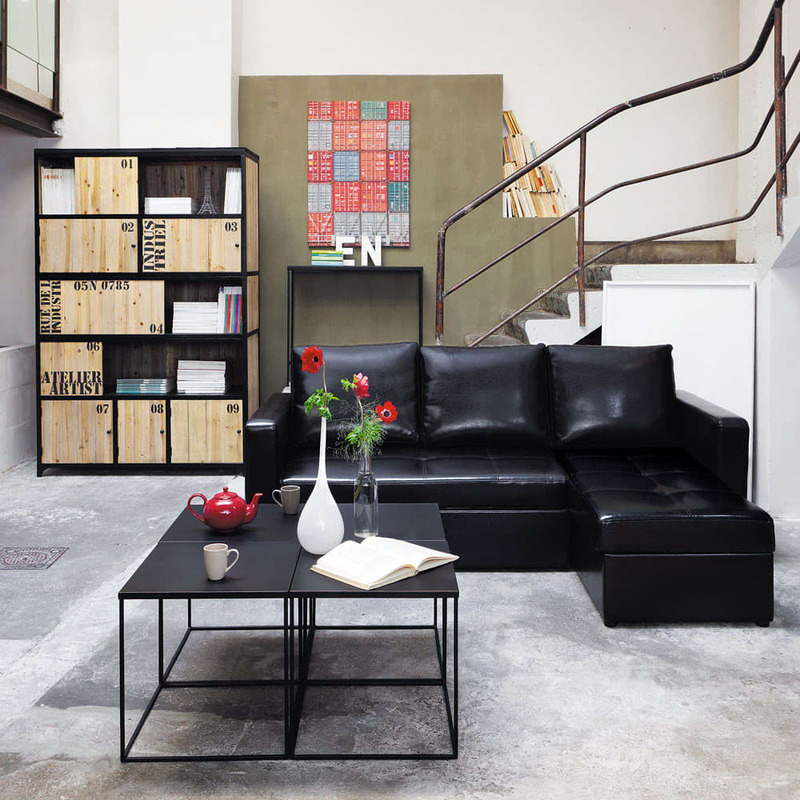 Clearly inspired by industrial design, this bookcase has shelves for displaying objects and ample storage space. 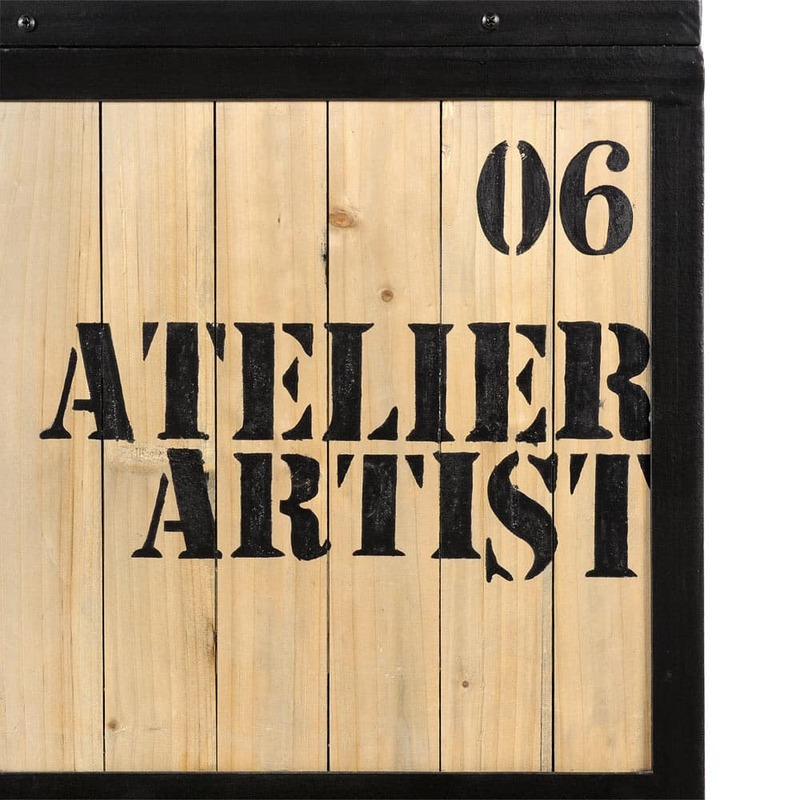 The combination of metal and light wood with a recycled pallet look gives this range an industrial feel. 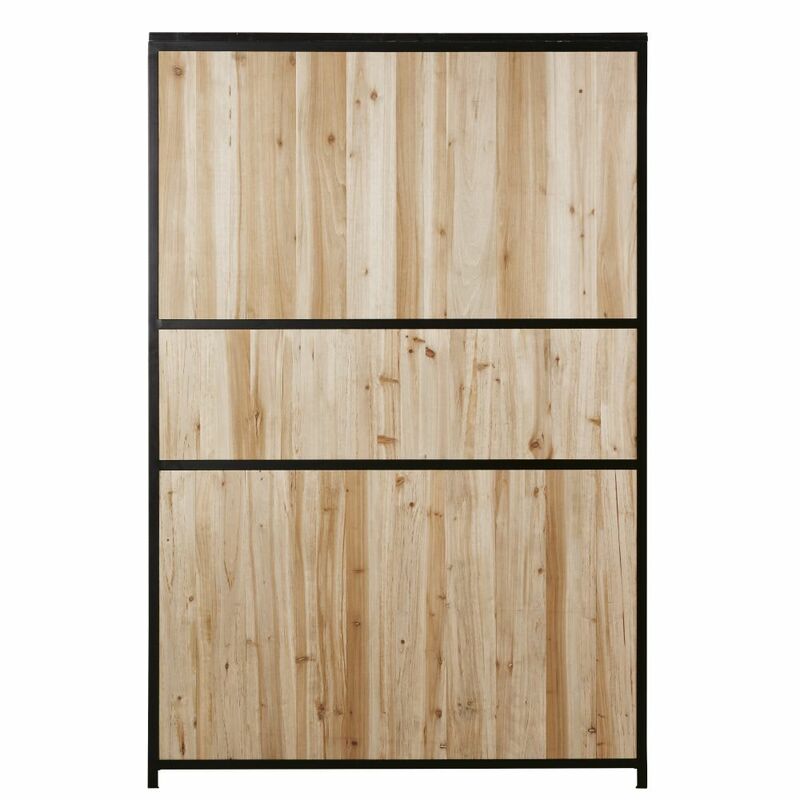 This furniture is made from fir slats with uneven widths. 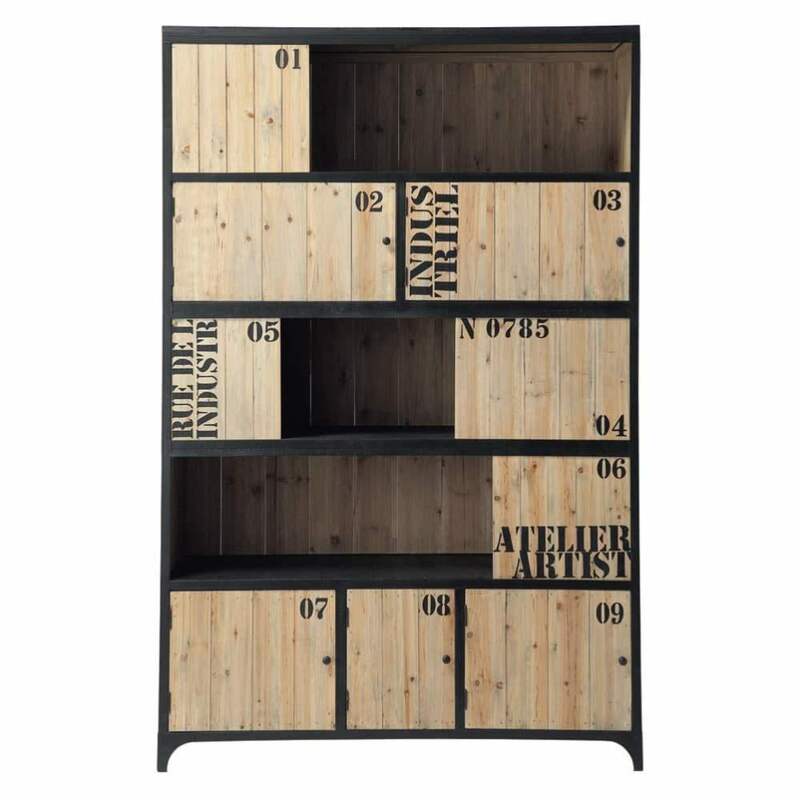 Several pieces in the range have a top in matte black wood (TV unit, buffet and CD holder). The stenciled lettering reinforces the urban character. Some pieces in this range have sliding doors to accentuate the modern style (bookcase and buffet). A light coat of wax gives the furniture a satin finish and simplifies maintenance. Each shelf can carry a maximum load of 10kg.